Our Microbes, Ourselves, Dec. 31, 2015: Roughly one hundred trillion bacteria are living, and gorging, in our gut–all the more so during the indulgent holidays. Microbes influence our health and well-being, by affecting our gut directly, as well as the crops we eat and the soils in which we grow crops. These microbial communities – called the gut microbiome — have been linked to many disorders, including obesity, inflammatory bowel disease, diabetes, cancer, immune disorders, and even mental illness. 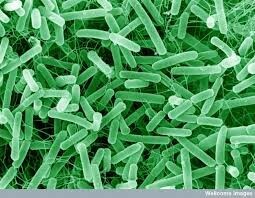 We are just at the dawn of a new era of microbial treatments for many illnesses. After a recent How On Earth show generated so much interest, we decided to bring our guest, Amy Sheflin, back for an hour-long call-in show on A Public Affair on KGNU. Amy is a doctoral student at Colorado State University in food science and human nutrition. She studies how the food we eat alters the microbial communities in our gut, and how those microbes in our bodies influence our overall health. For more info on the gut microbiome, check out Amy’s favorite books on the topic: The Good Gut, by Justin and Erica Sonnenburg; and The Inside Tract, by Gerard Mullins. Also check out the American Gut Project.